Armed Forces and Military card holders can save 20% on your next vehicle rental from Hertz vehicle rentals with this exclusive voucher code discount. Book and save online or at any Hertz collection point. Select from a wide range of vehicles suitable for any occasion. 2. Fill in your requirements in the booking form, select apply a discount code. 3. Enter the military discount code should automatically be filled in the ´Discount/CDP/Club Code box´. 4. Push ´Book as a Member´ or ´Book as a Guest´ to get your discounted prices. 5. Present your Military or Armed Forced ID at the time of vehicle collection. 1. Present your Military or Armed Forces ID at the time of booking to receive your discount car rental prices. 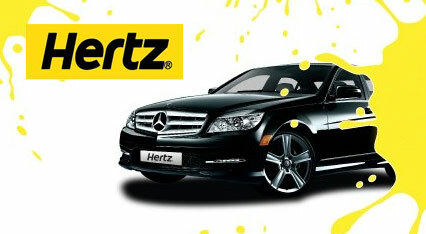 Hertz Car Hire has been providing qualities cars to rent for over 90 years. They not only operate throughout the U.K., but across the globe with over 8,300 pick-up sites in 150 different countries. Hertz provides a variety of vehicles for whatever your needs are. You can choose one of 7 different vehicle packages including the dream collection, the family collection, the fun collection, the prestige collection, vans, supercars, and the green collection. You can select the make and model of vehicle you would like to drive whether you wanted a sporty Jaguar or an eco-friendly electric car. However, availability of some vehicles may be limited to specific locations and countries and vehicle models may be changed without warning. Hertz provides the latest vehicles for every budget so you can be sure that the vehicles are safe and affordable for your requirements. For assistance you can contact them at their help line 7 days a week and receive assistance in all major languages. In addition to their many locations you can join Hertz 24/7 which gives a key fob for keyless access to over 50,000 vehicles worldwide any time, day or night. You can also join Hertz Gold Plus Rewards membership which allows you to save on rentals, earn points for free rentals, and allows their customers to enjoy the fastest possible pick-up and drop-off. Please contact Hertz car rental for more information on their 20% Military / Armed Forces discount.